No, TT, not from Fiddler on the Roof, although the message in that song is love is an action, not a feeling. No, now I’m quoting John chapter 21, and the passage I heard when we got back from Lourdes. Before that, let me share with you a wise insight from my Dominican friend, Fr. Timothy Danaher. I’ve mentioned him before as he was just ordained and also shared with me such deep insights on many things. I love Fr. Tim, pray for him as he embarks in his priesthood. Michelangelo Buonarroti, Unfinished cartoon for a Madonna and Child (1525-30). This is his Ordination holy card. Normally, priests have cards of the last supper, or a saint, or Our Lady, but I’ve never seen an unfinished art piece as the holy card. He offered an explanation in person but I asked him to write it down so I could share it. 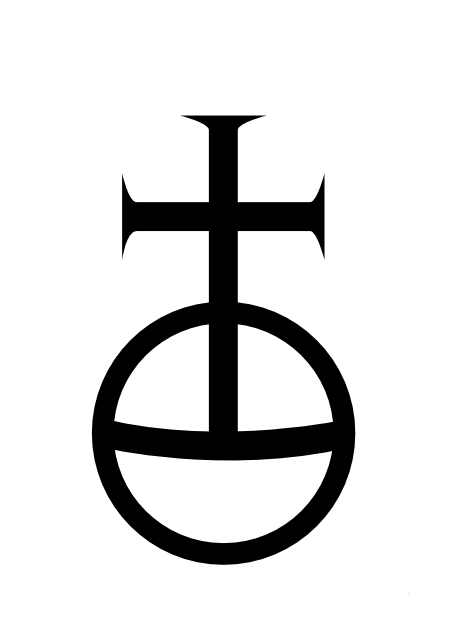 You all know of my inspirations, the Carthusians, and their motto of “The Cross stands, while the world turns”. In this artwork, Mary is purposefully looking to the cross, even knowing that it will mean suffering for Jesus and for her, suffering with Him. Thus, to us, we look to the cross ourselves as the anchor while the world is spinning. Mary is also protective of the infant, even while knowing the path he must take. To me, this ties into our own lives as well – we have a role to play, we have a path to follow. We will be protected on this path, but we have to follow it and can’t stay in the protective shell, our personal bubble. We can’t play it safe, nor choose the easy way. Fr. Tim says it very well, I can’t embellish on his thoughts for this. As a person with ALS (pALS), this has so many meanings. We lose our own control of our bodies. We lose our ability to speak, to eat, to move, eventually even to breathe. We become reliant on others to help us and even be taken where we don’t want to go or do. It’s not a happy thought, and to be reliant on so many others oftentimes is overwhelming to a pALS. So this simple gospel passage, ostensibly about St. Peter, reaches out across 2000 years and taps me on the shoulder. It brought in Fr. Tim, who had no idea about this stuff, to share a supporting concept through his own witness and prayer. And the then political atmosphere in the world ties the bow nicely. A month or so of time for a single concept to form in a human head – why do we demand immediate satisfaction? I’m going to write a follow up on this next, explaining what I mean. I’m going to blatantly steal from Catholic Stuff You Should Know for it. Again, I welcome your thoughts. Previous postWho farts in an airplane?!?! The drive for immediate satisfaction is driven by our insecurities. If I am not not sure when my next meal will be, I better eat now! As we become more secure in our futures, we tend to make better long-term decisions. If I know that I will have a nutritious dinner is a six, I can skip the junk food in front of me at four. Also, it is good to enjoy the present moment and not reject whatever good things that God has given to you at the moment. Don’t expect Him to give you something better in the future because you have denied yourself His gift in the present. More than one Sunday school teacher taught me that self-denial was a virtue that brought you closer to God. But, I think that generosity, humilty, and self-contol are what we are really ment to practice. Self-denial when offered to God does bring us closer to Him, because if we offer up something good for a greater good of loving God, then that is something better. If I sacrifice only to get something in the future, I’m not really sacrificing in the supernatural sense but only in the natural. I think we have to have the patience with the supernatural (at least, that’s what I meant in the post). And insecurities can affect that, but that’s where faith and hope come in, right? Regarding the FDA, Unfortunately snake oil salesmen exist in all walks of life. while we understand that the FDA is trying to make sure the drugs are safe for all, the need for right to try probably wouldn’t exist if the federal bureaucracy didn’t drag their feet in approving these much needed and proven drugs. In other words, the federal government has passed bills that include “the right to try” and “compassionate use”– which allows patients to continue on trial drugs due an extreme need (disclaimer here–that is my understanding). If the agencies that govern these tests were more efficient in bringing these much needed drugs to the market place we probably wouldn’t need the stop gap bills. That being said, I applaud the right to try and giving the patients the right to their own decision is great! On another note ignore the negative comments and keep doing what your doing. You’re a great inspiration to all! !